Laid down, 30 April 1942, as SS Esso Columbia for the Panama Transports Co., at Sun Shipbuilding and Dry Dock Co., Chester, PA.
Decommissioned, 21 January 1946, at Mare Island Navy Yard, Vallejo, CA. Returned to the Maritime Commission, 30 June 1946, at the US Maritime Commission Reserve Fleet, Suisun Bay, Benecia, CA. Title transferred to the Maritime Commission, 26 May 1947, pending sale to Panama Transports Co.
two turbo-drive 300Kw 240V D.C. 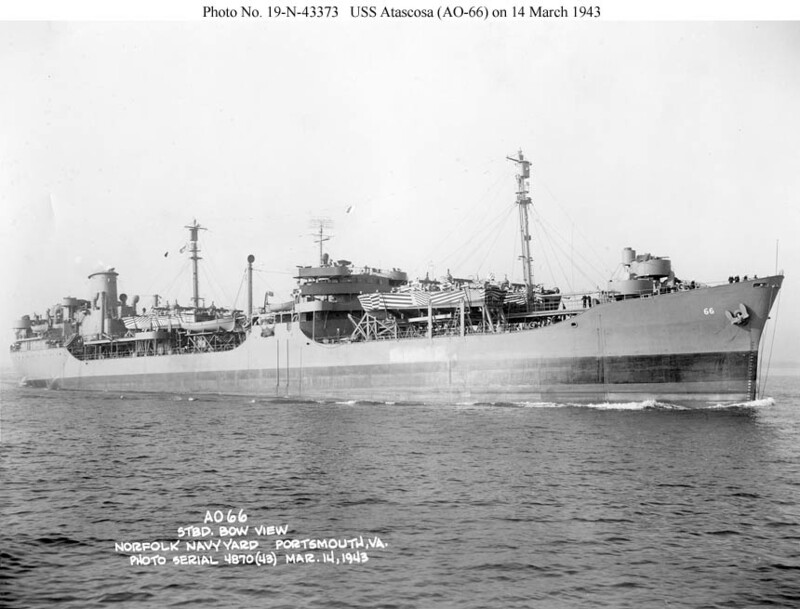 US Naval History and Heritage Command, Photo # 19-N-43373 106k USS Atascosa (AO-66) underway off Norfolk Navy Yard, 14 March 1943, outbound for the Pacific. 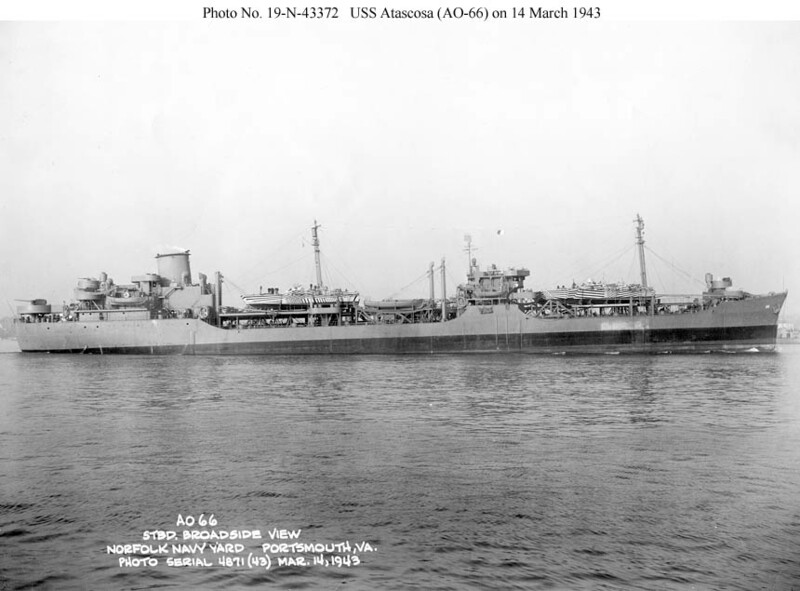 Note she has a deck cargo of four PT boats, probably to be off-loaded in New Caledonia. 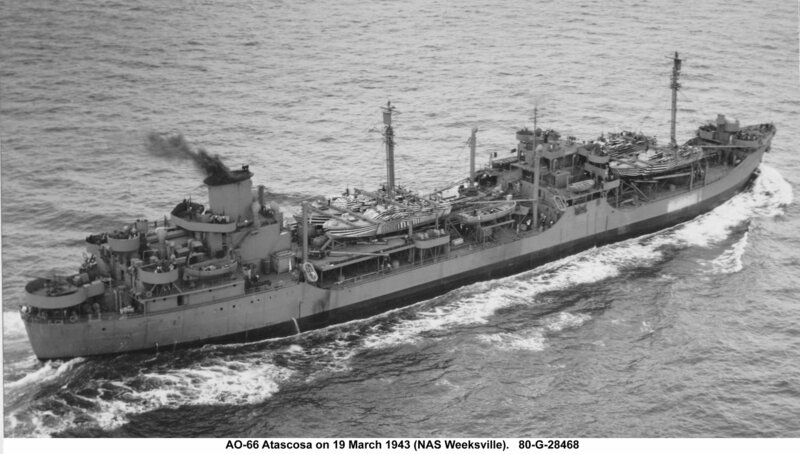 75k USS Atascosa (AO-66) underway off Norfolk Navy Yard, 14 March 1943, outbound for the Pacific. 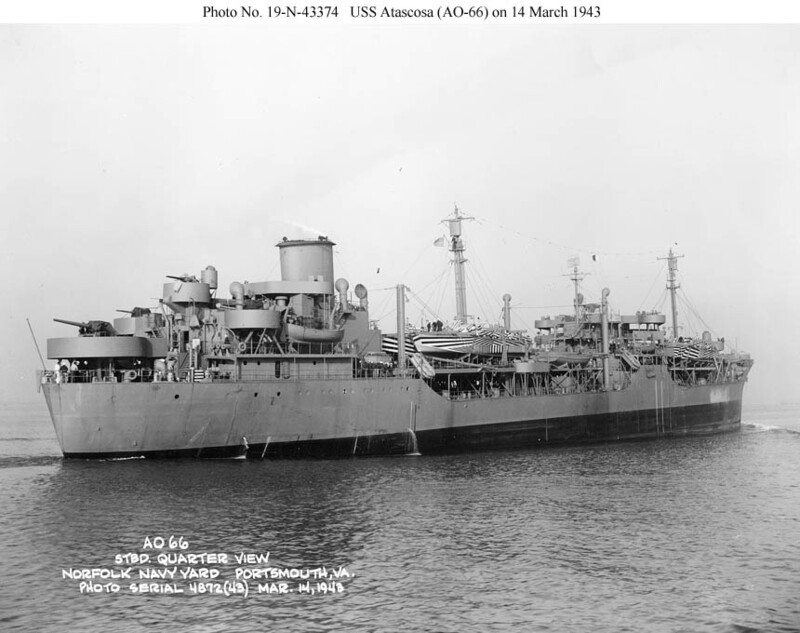 Note she has a deck cargo of four PT boats, probably to be off-loaded in New Caledonia. US Navy photos Joe Radigan MACM USN Ret.